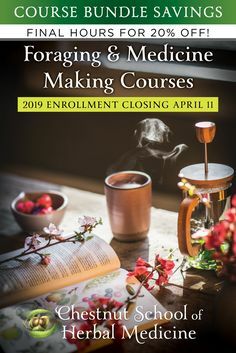 Growing our own medicine creates an intimate connection with healing plants as we watch them emerge from the ground, and grow leaves, flowers, and fruits. I tend to be more curious about the plants around me, as I see, smell and feel them throughout the seasons. My curiosity inspires research, experimentation, medicine making, and therapeutic usage. Deep, long- lasting plant friendships are born from these interactions. There are some important environmental reasons for cultivating rare native medicinals as well. We lose vast populations of our native flora, many of which are important medicinal plants, as our wild lands are converted to roads, development, lawns and agriculture. Cultivating shade-loving healing plants in existing woodlands takes the pressure off their small populations elsewhere, and reduces the demand for overharvested wild herbs. One of the biggest issues with habitat loss is the fragmentation of plant populations. Many of our native woodland plants produce ant-dispersed seeds: bloodroot, hepatica, trillium, bleeding heart, wild ginger, trout lily, and dutchman’s breeches are a few examples. As you can imagine, ants do not carry seeds as far as a bird or mammal can in its gastro-intestinal tract. Despite ants’ super-hero strength, ants cannot carry seeds across highways either. Thus, isolated populations of plants producing ant-dispersed seeds can remain isolated in the absence of a continuous forest. We are increasing local populations by planting native woodland herbs, which might otherwise have a hard time naturally expanding into our area. The intact forest, with all of its useful gifts of lumber, food, fiber, bio-diversity, beauty, water retention, carbon- sequestering, hammock hanging, and wildlife habitat, is an additional advantage to woodland cultivation of native medicinal flora. None of these advantages are present in the current large-scale cultivation practices of growing shade-loving herbs in cleared farms in full sun, necessitating shade-cloth and a multitude of unsustainable inputs. Finally, many of the woodland herbal medicines are easy to cultivate, as compared to our garden herbs. If sited correctly, they can generally fend for themselves after the first year or two and require little to no inputs. Following are some of the more common techniques employed in plant propagation; after a few times of practicing these skills, they become second nature and quite intuitive. Germinating medicinal herb plants and natives requires more skill, attention, and patience than germinating vegetable plants. Following are some special treatments that herb seeds may need before they will germinate. Many of the following resources, especially Horizon Herbs and Prairie Moon, list the necessary seed treatments for each plant. Stratification or Cold Conditioning– Many seeds have a built-in alarm clock that lets them know winter has passed and it is now spring, and safe to begin life. Stratification tricks seeds into thinking winter has passed by exposing them to an extended period of cold and moist conditions. My preference is to do this in a controlled manner in the safety of my own home inside a Ziploc bag (that’s a Virgo for you). Here’s how you trick those innocent seeds: Wet sand slightly so it’s visibly wet but no water comes out when squeezed. I recommend using “play sand” as it is fine, clean of organic matter (which may harbor fungal spores and seed-eating bacteria) and generally light in color (the better to see little seeds with, my dear). Place a very small amount of the wet sand (2-3 tablespoons) in a small Ziploc bag with the seeds. Label well, place in a paper bag to keep out the light, and store in the refrigerator for 3 weeks to 3 months depending on the species. If you’re not sure, try one month. You can plant the sand with the seed so there’s no need to pick out the individual seeds unless they are exceptionally large. Boneset, ginseng, blue vervain, butterfly weed, blue cohosh, black cohosh, bloodroot, goldenseal, trillium, wild yam, wild ginger, false unicorn root, culver’s root, mullein, skullcap, wormwood and Echinacea spp. are just a few of the herbs that need stratification to germinate well. Light - Dependant Germination – Many seeds have formidable patience and can lay in the soil for decades, or even centuries, waiting for their break. Sunlight is the big break, and in a natural setting, it is brought about by wildfire, storm, or tree fall. The canopy opens up and the seed has a chance to find its own personal spot in paradise. You may sow these seeds directly onto the surface of the soil and very gently press them so they make contact with the soil. They then should be watered very gently by misting or bottom watering so they will not be washed off the surface of the soil. Many very small seeds are treated in the same manner, as they do not have the reserves to grow above a thick layer of soil. 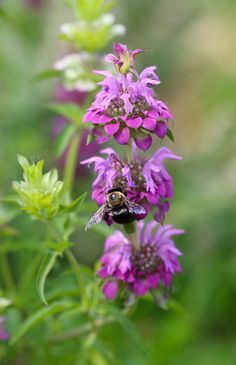 Angelica, bee balm, catnip, lobelia, lovage, mullein, Saint John’s wort and violet are just a few of the herbs that need sunlight to germinate. Scarification – Many seeds have a thick impervious seed coat that must be nicked or cracked before the seed can germinate. You can rub the seeds between two pieces of sand paper until you see a little bit of the endosperm (embryo nutrient reserves, usually a lighter color and different texture than the seed coat). Sometimes this is done before stratifying seeds and sometimes at the time of sowing. Astragalus, wild indigo, hollyhock, licorice, marshmallow, passionflower, red root, and rue are some of the herbs that will germinate better with scarification. Creating identical clones from parent plants by division, layering, and cuttings has several advantages and is often easier than germinating the seed. For starters, this is the primary way that cultivars (cultivated varieties) are propagated, as their unique qualities are not usually expressed in their seed-grown offspring. I can attest to this personally after trying to grow peppermint from seed and ending up with a mint mutt, which smelled more like pennyroyal than peppermint. Many herbs such as mints, specialty thymes, lavenders, white sage, goldenseal, blue cohosh, partridgeberry, and lemon verbena are generally propagated by the methods outlined below. Growing from cuttings often gives a bigger plant in a shorter amount of time than growing from seed. One disadvantage with vegetative propagation is that genetically identical plants do not have the resiliency found in the larger gene pool of sexually reproducing plants. Division is the easiest form of vegetative propagation. It involves digging up and severing a portion of the root system of a plant, and replanting it. Depending on the plant species and age, one to twenty divisions may be made from one plant. In running plants, such as the mints, partridgeberry, gotu kola, jiaogulan (Gynostemma pentaphyllum), Mondarda spp., and Arnica chamissonis, one digs up the runners (stolons and rhizomes) and plants them in a new site or container. In clumping plants, such as elecampagne, valerian, Echinacea spp., motherwort, meadowsweet, boneset, comfrey, and culver’s root, one can thrust a shovel into the center of the clump and pry free the divisionling. I generally don’t have the heart for this method and prefer digging up the whole plant and getting a good look at its root system. I then divide the roots with a garden knife (hori-hori), shovel or pruners and replant each section in it’s new garden spot. Each section contains either buds (when the plant is dormant) or leaves and shoots if the plant is actively growing and green. Take care to plant your divisionlings with the buds pointing up. Most people divide plants in the fall or spring when the plant is dormant and the temperatures are not too cold. I prefer to make divisions in the fall as there is generally less garden work than the springtime, and the roots may also grow when the plant is dormant. With my nursery, I have planted small roots from division in the fall and come spring, peeked into the pot and witnessed the growth of a larger root system, all taking place in the absence of photosynthesis! If you have a leafy active plant, cut back some of the growth as the inevitable damage to the root system will stress the plant with more leaves transpiring and losing moisture. Water in your divisionlings; seaweed tea will encourage root growth, which will increase their survival. Depending on the season, species, size of division, expertise, loving care in the transition to plant independence (watering, soil, etc.) you might have 70-100% survival. Root Cuttings involve digging up a rhizome and cutting off two to three inch sections with pruners. Ideally the rhizome section should include the rootlets (smaller, secondary roots) and a large bud or shoot. However, many plants will grow without a visible bud present on the cutting, comfrey being a prime example. Place the root cutting directly in the ground with the bud pointing upward, or in a container and keep well watered until you see the emerging shoot. Root cuttings have the advantage of growing faster than seed germinated plants, which sometimes take two to three years to germinate. Many woodland medicinals are cultivated commercially from root cuttings, rather than seed, for this reason. 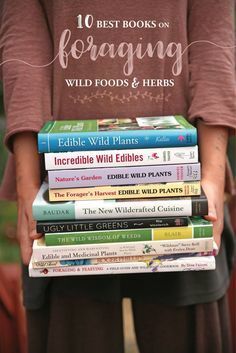 Some examples of plants propagated from root cuttings are calamus, blue cohosh, black cohosh, false uncorn, trillium, wild ginger, sweet fern, wild yam, Iris spp., bloodroot, sumac, sweet shrub, comfrey, spikenard, wild geranium, and goldenseal. Stem Cuttings involve cutting the tips of growing twigs, either woody or tender new growth, and placing the stem into various types of growing media. The cuttings are then kept well watered, preferably in a high humidity environment, until roots form. The rooted cutting is then placed directly in the garden, or preferably grown on in a container until it is larger. Some plants readily root from cuttings; a few examples are lemon verbena, rosemary, lavender, white sage, pineapple sage, elderberry, figs, and most succulents. Many others are harder to prod into root growth, and it’s a race against time before rot or desiccation takes the cutting. Most commercial nurseries and home gardeners use synthetic rooting hormone dips or powders, which greatly enhance the success of cuttings “taking”. Willow bark extract is a natural alternative (see recipe below), as is seaweed extract, but I have to say in honesty that they are less effective than the synthetics. To make a softwood cutting, take the top two to four nodes (area where the stem and leaf join) of green growth, which is still pliable but not flimsy. Softwood cuttings are usually made in late spring/early summer. Remove the lower nodes’ leaves and if the remaining upper leaves are large, cut them in half. To make a hardwood cutting, take the upper three to four nodes of the currents years’ growth in late fall/early winter, after the first frost. Keep the hardwood cuttings in soil protected from freezing, and place in the shade. The choice of cutting type depends on the species; you will need to research the preferred method for the plant you want to propagate. Place your cuttings in their growing medium very soon after preparing them. The cuttings can be placed in their medium in an open tray or wide pot in part sunlight. The sunlight encourages rooting but also contributes to water loss, which is often the demise of the cutting. The growing medium should be low in nitrogen, as nitrogen encourages green growth over root production. Wet sand, fine compacted perlite, and vermiculite are some common choices. For acid-loving plants, try one part peat moss and one part coarse perlite. For hardwood cuttings, mix together equal parts of peat, sand, and aged pine bark fines. Keep your cuttings moist and create extra humidity by frequent misting and placing a plastic bag or clear plastic container over the cuttings to keep in the moisture. When you tug gently on the cutting and you feel some resistance, check to see if roots have formed. If roots are present, transplant directly into the ground, or preferably into a good quality soil mix, where the cutting can grow bigger and stronger before it has to fend for itself. Layering involves bending down the longer, flexible lateral branches of woody plants into the soil three inches deep. The branches are then staked in place, with the top of the stem above ground. Secure the stem in place with a piece of bent wire, rock or notched piece of wood. The aboveground part of the stem may need staking to keep it erect. The semi-buried stem is left in place for a couple of months to two years, depending on the species. Once roots have grown from the buried section of stem, the side-plant may be severed from the parent plant and moved to a new garden site. Layering is usually performed in the spring or summer. Some examples of plants propagated by layering are rosemary, sage, thyme, bay, Vitex, and cramp bark. Willow bark extract contains a natural plant hormone called willow-rooting substance, which is a type of auxin. It can be used as a free natural substitute for commercial rooting powders, and is especially helpful for rooting softwood cuttings. Cut ten 2-3 ft. willow branches, preferably in the fall after the leaves have fallen and cut the branches into 2 in. lengths. Pour a gallon of water over them and let sit for 24 to 48 hours. Strain the willow soak water. Soak the lower stem portion of cuttings in this solution for 24 hours and then place them in their rooting medium. Any unused liquid can be stored in the refrigerator for up to a year. Some people use willow in a less exact fashion by soaking willow branches in water and using the soak water to water-in cuttings. 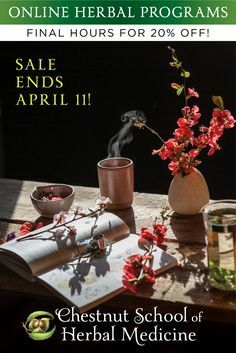 Strictly Medicinal Seeds (formerly Horizon Herbs) - Largest collection of organically grown medicinal herb seeds and plants. Catalog is also a growers manual and contains many of the germination specifics listed below. Richters - Huge selection of herb seeds and plants. Rare or hard- to - find herbs. Prairie Moon Nursery - Seeds and plants of natives to the prairie and eastern states. Loads of germination information in their seed section. United Plant Savers – A group of plant enthusiasts committed to raising public awareness of the plight of our wild medicinal plants and to protecting these plants through organic cultivation, sustainable agricultural practices, and the replanting of native medicinal species back into their natural habitats. Production Guides written by Dr. Jeanine Davis and Jackie Greenfield. 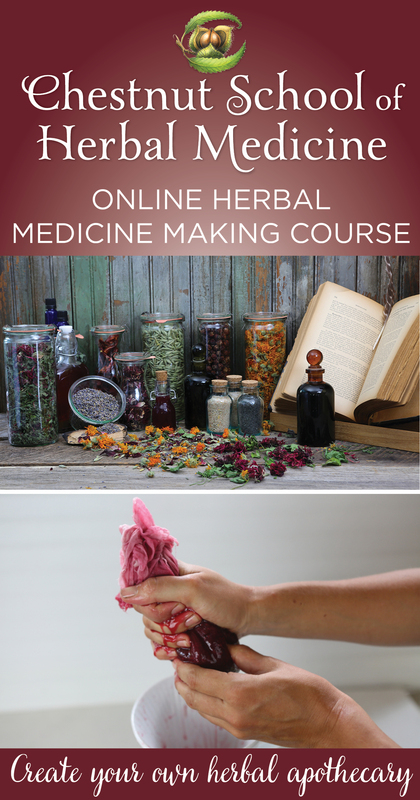 Covers the specifics of cultivating the following medicinal herbs: American ginseng, black cohosh, bloodroot, Echinacea angustifolia, E. pallida, E. purpurea, false unicorn, ginkgo, goldenseal, skullcap, wild indigo, and wild yam. Detailed instruction on the cultivation requirements for at-risk plants including ginseng, goldenseal, the cohoshes, bloodroot, etc. 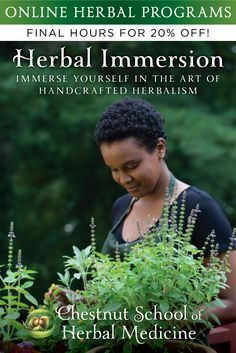 A good beginning book to cultivating plants in general, but focusing on medicinal herbs. Vegetative propagation is explored: cuttings, divisions, layering as well as germination specifics: stratification, scarification, light-dependant, and heat-dependant germinators. Composting, soil, mulching, seed-saving and harvesting are also covered. One of my long-time favorite herb references. Provides more cultivation information than most general herbals. Beautiful illustrations. Recipes, historical reference, aromatherapy etc. One of the finest native plant growers’ manuals. Excellent photos, cultivation, and propagation information for many of our natives. Illustrated manual for most basic plant propagation; cuttings, divisions, seed saving and sowing. 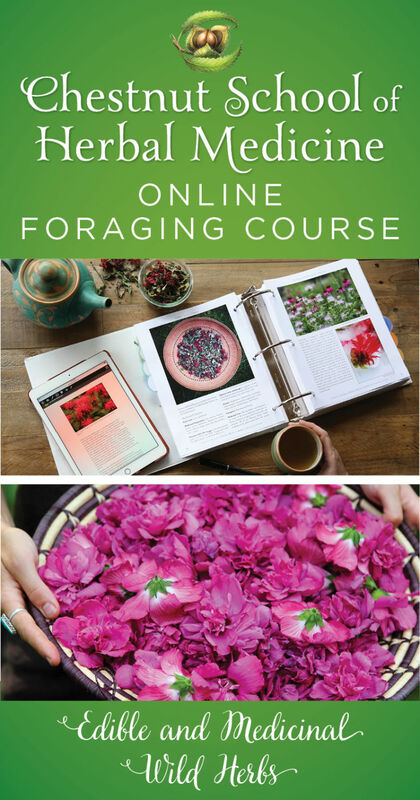 The most thorough and technical guide geared towards the commercial grower of forest medicinal herbs. 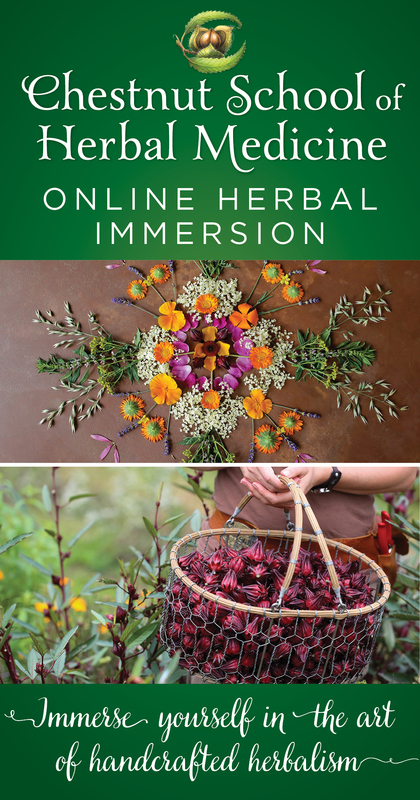 Excellent reference for the cultivation and usage for more than 1,000 medicinal herbs. Each monograph includes cultivation, propagation, harvest, parts used and properties and usage. I use this book for researching cultivars and international plants. May your gardens be abundant and provide nourishment, healing and beauty in your lives! This entry was posted in Herbal Medicine, Medicinal Herb Cultivation and tagged at-risk medicinal herbs, cultivating woodland medicinals, division, Growing at-risk herbs, growing medicinal herbs, layering, light dependent germination, medicinal herb propagation, root cuttings, scarification, stem cuttings, stratification, stratify seeds, willow bark extract. Bookmark the permalink. What stunning photographs, Juliet! The text is great, too, but I love the pictures. A note on Seed Sources, Seed Saving and our Endemic Appalachian gene pool. Just a friendly reminder and encouragement for us to strive to cultivate as local of Native Plants as possible, ideally collecting seeds of our Native plants locally. There is of course no harm in responsibly growing non-Native, non-invasive medicinals plants. 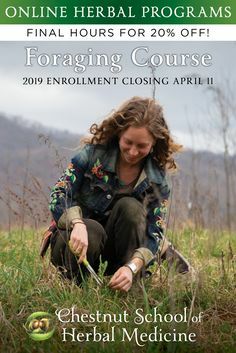 When we are choosing, however, to cultivate plants of the same species as our Local Native plants, then we must consider the genetic differences of non-endemic population (of the same species) and our local Southern Appalachian populations. Endemic populations have developed many special adaptations to harmonize with our local ecological web. Timing, color, taste, height, toxicity,… there are simply innumerable connections between every plant, bird, insect, mushroom, garden, river and human. Unfortunately, not all of the local endemic genetic traits will be dominant when crossed with those non-local gene pools of the same species( ie in a Wild Ginger from Vermont or Oregon). In collecting seeds from our local plants we also collect thousands of years of wisdom of how to give and receive and communally thrive within this very special area. 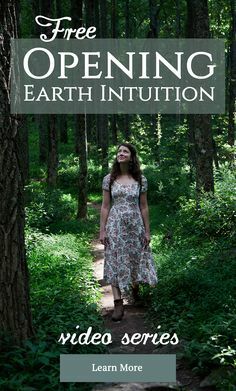 Furthermore, collecting seed of our native flora has always been one of my favorite ways to continually deepen my relationship with the astounding lives of the many green beings. Ask our local seed suppliers where their seed sources are from, and help promote local sources. Encourage local seed and plant suppliers to collect Native seed locally. Collect and trade from our own local populations as much as possible. Thanks Juliet for the amazing article. See you in the woods! Thanks for the thoughtful input Luke, such an important point. Most seed companies are not selling local varieties of natives, as you know. It is possible to enquire as to the seeds origin, but not likely that there will be a choice of origin. I think it would be lovely to have a local native plant seed source in our area (and other regions, for that matter). Either a seed exchange or seed business, anyone game? such important information to know as more and more people are foraging for their own personal food and medicine to care for their own health. 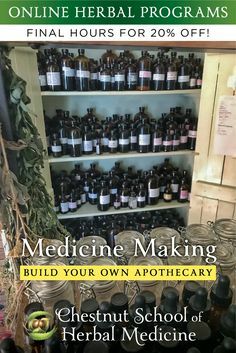 i hope having cultivation information such as this will encourage people to grow their own medicine, cultivate their relationships with the plants, and take some pressure off wild harvest as the interest in herbal medicine expands! thanks for sharing juliet! Wonderful article and great photos. Bravo!